About Lanparte and the Lanparte quality. Based in the chinese Dongguan City, Lanparte offers a wide range of high quality accessories for filmers all around the world, since the year 2011. The company was founded under the name Hongkong Lanparte Technology Limited by it's parent company Dongguan Qiying Precision Hardware Products Co., Ltd., which specialized in manufacturing metal made parts with the aid of precise CNC machines. 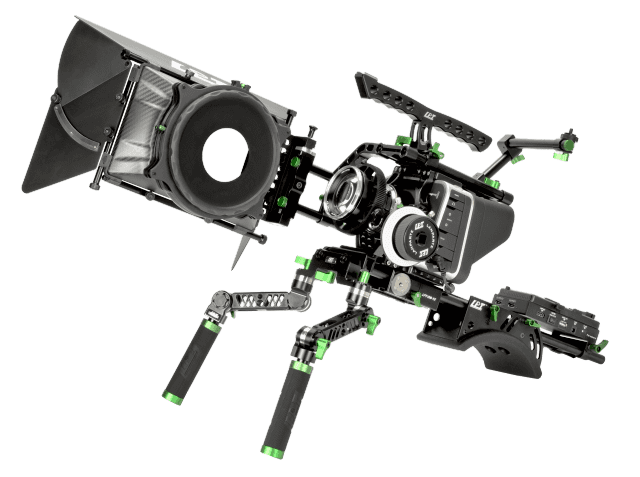 These machines, the DSLR hype, some smart engineers and product designers were enough for the parent company to give manufacturing of professional filming equipment a try. The aim of Lanparte was never being one of many companies offering bad quality products at a cheap price. While this is a great way to fill your pockets, your work will never get honored by anybody. Instead, the people behind Lanparte decided to create a company that is able to offer rigs and rig components with a quality that can easily hold up against global players from the USA, while being essentially lower in price. I took only one year for Lanparte to get there, where big rig manufacturers already were. At the top. Thanks to the super precise CNC manufacturing, the original rig design ideas, the outstanding quality control and the super fast order processing, Lanparte was able to catch up with the big companies and even leave them way behind in certain points (especially if you take quality and price into account). Because "Stagnation is regression", Lanparte does not stop developing new products, although new products are usually aimed at bigger clientele right now. 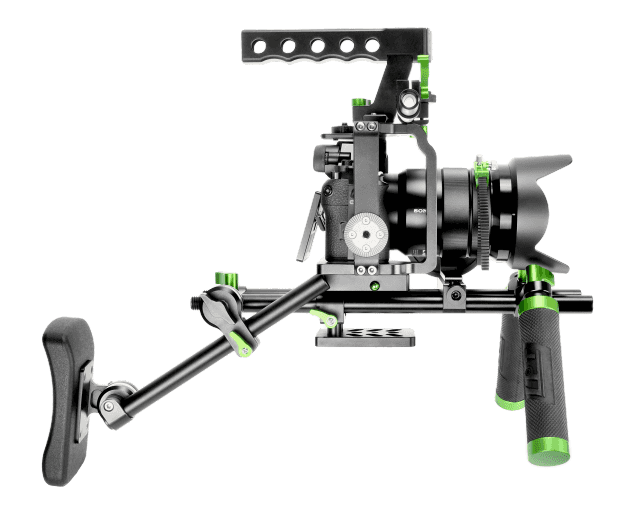 Besides rigs and components, Lanparte developed some interesting electronic gadgets like the remote controlled E-Slider or their zero-setup gimbals for smartphones and gopro action cameras. The consistent dialogue with customers and dealers allows the company to react very quickly and precisely on customer needs, making quick improments to products that are offered. This is something that is not put into practice by most other China based companies. The success of the company is really easy so see: in the beginning of 2012 the parent company had to move into a new, bigger factory. This was not because the overall quantity of orders raised but mostly because producing the highly demanded Lanparte products required all available machines leaving not one left for the other jobs. Currently, even in the new factory, most of the CNC machines are used to manufacture Lanparte products. The company gained a lot of popularity all around the world for high quality products "Made in China". What will you get for your hard earned money? A lot of counter-value. This is what you will get. Period. Precise CNC manufacturing is not free of charge, even in China. This is why Lanparte is based in the higher-range price segment than most of other chinese companies. The final price contains developement, production costs as well as shipping and import duties. Still, Lanparte products can not be called overpriced, because they give you a real value for the money you spend on them. Rigs by Lanparte are worth every penny, you will see this when finally holding one in your hands. The build quality of all parts is very high throughout. Quality fluctuation is on a very low level because of the good quality control. Lanparte isn't making rigs and rig parts that look good on photos, the also look pretty good while in use. They can be combined with different rig parts from other brands, as long as these are using rods with standard diameter and distance from center to center. The company itself is aware of its good build quality and the popularity it gained throughout the years. There are only a few companies out there that are open minded to criticism and suggestions from their customers. Lanparte does apply changes to its products according to these suggestions, as long as they are reasonable. This is why you can not say that the products are pricey, because their cost-benefict ratio is in fact pretty good. As a Lanparte user, you will get a lot out of every coin you spend on these products. In this case, pricey is a word that describes other brands. The EQUIPRENT Andreas Teichmann GmbH participates activly in the broadcast market since 30 years, starting from antique celluloid, going through analogue and digital tape and finally witnessing tapeless digital video in all its glory. The Video-DSLR hype that was introduced in 2008 by the outstanding Canon EOS 5D Mark II is very similar to the time many years ago, when the company was established. This is why we are very aware of what is helpful to a filmer and what not. We have been aware of Lanparte since the first words about this company in the "personal-view" board. But back then, we didn't expect the build quality to be on a par with famous german (and expensive) brands. In 2011, during the IBC show in Amsterdam, Netherlands, we were on a lookout for a good follow focus below 800 Euro. We failed. Whatever there was, was either very expensive and good or just expensive and bad. At least until we decided to try a follow focus from a company that just showed up on the market. It was the Lanparte FF-01. And it was fabulous. There was no backlash. Nothing at all. Since 2012, the EQUIPRENT Andreas Teichmann GmbH offers Lanparte products online in their webshop and offline in their office, in Hamburg, Germany. We are an official distributor or Lanparte products in Germany. And we've been with this company since their early years. We were able to turn many customers into happy Lanparte users. Do you want to become one of them?